Martha Black, wife of Yukon Commissioner George Black, organized the first Yukon chapter in Dawson in 1913. A year later, Dr. George M. Dawson Chapter, named after the leader of the government geological expedition sent out to explore the region, was thriving when Yukon Chapter was formed in Whitehorse. Three more chapters were soon formed in the Dawson area: Inspector F. J. Fitzgerald (a young women's group), Klondike (a junior chapter) and Martha Munger Black. Inspector F.J. Fitzgerald Chapter was named for Inspector Fitzgerald and his "lost patrol" that froze to death in the winter of 1910-11 during the annual police trek from Fort McPherson to Dawson. In cooperation with the Royal North West Mounted Police, the chapter erected a monument with a bronze tablet in Barracks Square as a memorial to the Inspector and his lost patrol. It still stands, but in a different location. Yukon chapters enthusiastically focused on WWI war efforts. They raised $6,500 in two days for the Canadian Women's Hospital Ship Fund thanks to generous donations energetically sought by IODE members in town and on Bonanza and Hunker creeks. Martha Black, the organizer and first regent of Dr. George M. Dawson Chapter, Life Member and a National Councillor left Dawson in October 1916. She went over-seas in 1917 with her husband, now Captain George Black and his recruits, the 275 strong Yukon Infantry Company. In Britain she established and administered the Yukon Comfort Fund, well supported by Yukon IODE, and also provided a home for the Yukon "boys" on leave. Back in Dawson, Sadie Stringer, wife of Bishop Isaac Stringer also known as "the bishop who ate his boots", took over as regent and L. Beatrice Berton, author of I Married the Klondike and mother of Canadian historian and author Pierre Berton, was secretary. IODE took on a project of local historic note in 1917. Members preserved and cared for the cabin in which poet Robert Service had lived while a bank clerk in the Dawson Branch, Canadian Bank of Commerce. Members continued to care for the cabin, declared of national and historic significance in 1967, until Klondike National and Historic Sites took it over in 1970. Declining membership after WWI led to the amalgamation of Dawson area chapters into Dawson City Chapter on June 10, 1919. Soon the new chapter was busy canvassing for the Red Cross and CNIB, supporting local schools with an emphasis on patriotic and historic programs, promoting knowledge of the British Empire through Martha Black's pamphlet Birth of an Empire, and providing appropriate relief as required to the needy, especially after the 1925 flood. Members distributed Christmas Cheer Boxes in Dawson City and area, an activity dating back to the inception of IODE in Dawson. In 1941, Yukon Chapter adopted a new name (Whitehorse) specifying its locale. During WWII the three Yukon chapters, Whitehorse, Mayo (chartered in 1923) and Dawson City contributed money towards the National Chapter Bolingbroke Bomber Fund and were proud when Martha Black had the honour of presenting the plane to the RCAF on behalf of IODE. 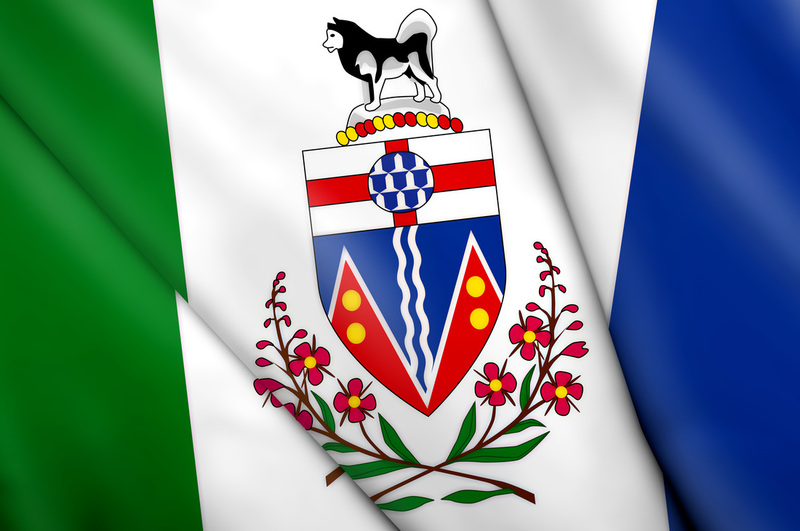 Dawson City Chapter is the only remaining chapter in Yukon. It demonstrates its ongoing commitment to youth with an annual scholarship plus yearly donations to the local school's band, choir and library. Financial support is also given to school projects such as Young Women Exploring Careers and other community projects. The Chapter continues its Christmas Cheer Program which is now called Xmas Parcels for Seniors. All seniors in the area are remembered with either a gift box or a donation made in his or her name to the Xmas Hamper Fund administered by Dawson Shelter Society. “Books for New Babies” is the chapter’s latest program and has been a successful addition to older projects for two years. An annual highlight is the Chapter’s Commissioner’s Tea (a partnership with Klondike National and Historic Sites) held in early June on the verandah and lawn of the Commissioner’s Residence. This old style afternoon tea honours the Commission of Yukon and is open to locals and tourists alike. Fundraising over the years has consisted of canvassing for special causes, arranging and charging admission to concerts and other entertainments, putting on dances, rummage and bake sales. In the late 1940s, Dawson City Chapter took over the Ice Guessing Contest. Participants purchase a form and enter their guess as to the month, day, hour and minute, a.m. or p.m. when the ice will break up in the Yukon River at Dawson. That contest began in 1896. Homage must be paid to Martha Louise Munger Black for her numerous contributions to IODE, to Yukon and to Canada. She was awarded The Order of the British Empire for volunteer work in Britain during WI and was made a Fellow of the Royal Geographic Society for her research on Yukon flora. Replacing her husband who was in failing health, she became the second woman elected to Canada's House of Commons. A Canadian Coast Guard vessel, built as an ice breaker for the Beaufort Sea, is named the Martha L. Black, a highly visible tribute to a remarkable Yukon.